war wunderbar zu lesen danke. Wow, Elisabeth — this is a GREAT post. Beyond fascinating. Anna and Sophia had to put up with a LOT. Sounds like their husbands should have received a swift kick (metaphorically speaking) along with their royalty checks. Excellent and informative post: thanks for sharing! Thank you very much for reading, I’m glad you enjoyed it! Thank you so much, Sahra, I’m glad to hear that! Very good post. The movie The Last Station explores on the relationship between Tolstoy and Sophia and his last days. Thank you very much. I like that movie a lot, great acting by Christopher Plummer and Helen Mirren. Sriram — thanks for mentioning the movie. I seem to recall it, but am not sure, and would like to see it. That’s what I think – Tolstoy had a really harsh, cruel side which I don’t see in Dostoevsky. The book is called The Wives by Alexandra Popoff, and it covers the Anna Dosteovsky, Sophia Tolstoy, Elena Bulgakov, Nadezdha Mandelstam, Vera Nabokov and Natalya Solzhenitsyn. That’s quite an impressive list, and I’m particularly interested in the Natalya S as I don’t think I know anything about her at all! Thanks, that looks like an interesting and varied read! Thank you very much, Rebecca! You’re absolutely right, without the helps of their saintly wives, Dostoevsky and Tolstoy would likely not have accomplished what they did. Tolstoy was very good at thinking up rules and inspirational quotes about how to live, but not so good at applying them to his own life. I don’t think there was a suffragette movement in Russia, but I may be wrong. I’ve just come back for a second read. You have inspired me to enter a new area of research. Last night I was discussing your post with my 87-year-old mother – her parents were Danish and Swedish – she reflected back on her life and the life of her mother and grandmothers. Every culture has a way of viewing gender differences, each with an unique discussion of roles, responsibilities and status. There may now have been a suffragette movement per se in Russia, but I know that there was an excellent discussion over the years. Thank you again for creating an excellent blog – enjoy every post. That’s so nice to hear, that my post inspired a conversation with your mother about your ancestors! It must have been an interesting conversation. I didn’t know that you had Scandinavian roots. Anna Dostoevskaya was half Swedish, I assume that that’s where her practical mindset came from. I was talking about my post with my boyfriend, and we were both in awe of these two women, taking such effort and being so devoted to their husbands. I know Sophia is often perceived as somewhat hysterical, but who could blame her after all that she went through? Great post! I’m not a Dostoevsky fan and knew nothing about his wife, though I’ve read The Gambler. And it could not have easy for Sophia to be married to Tolstoy. I have read parts of Sophia’s diary,–not the whole thing–and it is fascinating to get her perspective, but writing for one’s husband would not be idea of fun. Thank you, Kat! I’m with you on Dostoevsky, but his life was fascinating and his wife must have been an angel. I too have Sophia’s diary and read parts of it. I’d like to read some of her fiction too. Like everyone else, Elisabeth, I have found this post absolutely fascinating, thank you! It is so easy to forget that creative individuals do not function in isolation of wider life (even Thoreau was not always alone at Walden Pond and had food brought to him etc). 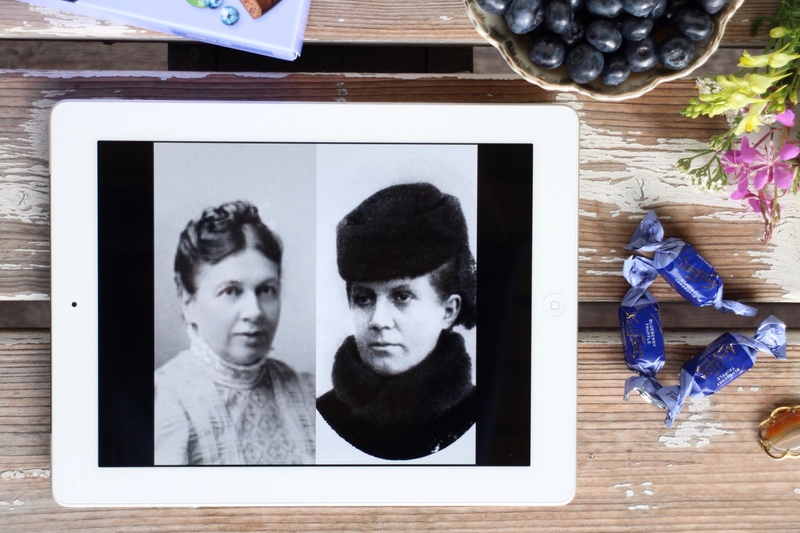 Like Becky, I would love to read more about these two remarkable women and I was pleased to see reference to a diary by Sophia – are there any further writings you would recommend? Thank you so much, Liz. The lives of these writers and their wives were absolutely fascinating, and they give an interesting insight into that era. Karen recommended The Wives by Alexandra Popoff, and I enjoyed the biographies of Tolstoy by Rosamund Bartlett (I highly recommend it) and by A.N.Wilson. Sophia also wrote an autobiography and some fiction. I also read Dostoevsky’s biography by Joseph Frank. But I think that there are also memoires from Anna published. Brilliant, thanks – plenty to keep me out of mischief! Great read, thank goodness Anna took over the money side of life, I wonder how long Sophia lived as a widow and we’re all her children close to her and supportive of their Mum? Charlotte — this is off the top of my head. I think, from having read Henri Troyat’s biography of Tolstoy a long time ago, that Sophia lived to around the time of the 1917 revolution, or shortly thereafter. Also, that one of Tolstoy’s daughters (Alexandra?) became an ardent Tolstoyan and a friend and supporter of Tolstoy’s disciple Chertkov. This daughter, whose name I forget, became estranged from Sophia but they (Sophia and the daughter) were reconciled, if I recall correctly, shortly before Sophia’s death. The full story is told in Troyat’s biography of Tolstoy, which is a great read. There is a relatively new book out: “Tolstoy’s False Disciple: The Untold Story of Leo Tolstoy and Vladimir Chertkov” by Alexandra Popoff which probably tells more. Thank you, Charlotte! Yes, without Anna Dostoevsky would have been doomed. As Roger said, Sophia did live on until after the revolution. And although some of the children were on their father’s side, I think they all reconciled with their mother before she died. I’m sorry I had no time to comment before, when I first read your post. Since I had just a vague idea about the plights of these two women, I felt quite surprised and sad, and even annoyed of how haughty, superb, obtuse and, in fact, petty, were those writers, whatever their talent was. Dostoevsky had obvious mental issues beyond his control and I can excuse him, but Tolstoy… I’m figuring him now as perfect moron; a nuisance for any close person, and a nightmare for his poor wife. I won’t buy anymore the idea that his literary genius compensates or justifies in any way his abuse and incredibly narcissistic behaviour. Hook him :! Oh yes, they didn’t make things easy for their wives, it seems that everything evolved around them, especially in the case of Tolstoy. He must have been extremely selfish and I’m glad that I’m not in Anna’s or Sophia’s shoes! But there were also other cases: Turgenev never married and devoted his life to a married woman instead, following Pauline Viardot around all his life, worshiping the ground that she walked on (also a bit scary perhaps 😄) and Chekhov was happily married to an actress. Thank you for sharing this. So different husbands but so much in common. Maybe the saying ‘behind a successful man is always a even more stronger woman’ comes from that period of time to describe the life of that both ladies 🙂 . Brilliant article, Elisabeth! These two women were behind the works of genius, and no one knows what the things would look like without them. Hey Lulu, wat goed! I’m glad that I inspired you 😊 Alsjeblieft! What an amazing blog! I am very impressed! Thank you so much! I’m looking forward to exploring your blog. Yes, but sometimes “nose” have to pay. Thank you, Micheline 💚 I found many interesting pieces on yours too! First applause for such amazing blog, I’ve always loved Russian Literature! From Tolstoy, Dostoevsky, Gogol to Chekhov the list is unending. I guess it’s always difficult to marry to a geniuses for their whims and wild creative sides. It’s no secret that Tolstoy grew eccentric with age and experimented with astute living and vegan eating something which drew apart the couple. Dostoevsky on the other hand was always feeble both mentally and physically as through out life he dealt with fragile mental and physical health. Terrible as it sounds the price one pays to marry geniuses, it’s a life of loneliness and I guess indifference too. Thanks for sharing amazing post! Thank you so much for taking the time to read and comment. It must have been difficult for their wives, because as you say, neither were the stable and dependable type. Of course they were right there with their husbands when the most brilliant books ever were written, copying, sorting notes, giving advice. I suppose that made it doable. I know, even I can’t! It’s kind of cute what he did at the start of their relationship, pretending to ask Anna about a story he was writing. I wonder, did he ever write a story about that? Thank you for stopping by 😊 The original idea behind this blog was to make Russian literature come to life more, and I’m always happy to hear that I have succeeded in some way. You’re absolutely right, many of the themes in Dostoevsky’s works, like gambling, epilepsy, and debts, come from his own life and experience. The way he tested the water with Anna was really sweet. As far as I know, this did not appear in any of his works. I know that Lewin’s proposal to Kitty, with the letters, was very similar to how Tolstoy proposed to Sofia in real life.